The audio industry is a fickle one and to stay at the top, one needs to always be innovating and on the cutting edge of technology. Many companies come and go but Sennheiser has been around longer than most. Its commitment to innovation and creating outstanding products is unsurpassed. It has earned several awards in the broadcast and television industry because of its high standards. From the day it released its first open-back headphones in 1968, it has never looked back and today it is one of the most recognized audio brands worldwide. In this article, we’ll look at some pointers to understand why Sennheiser headphones are some of the most reliable headphones you can find. We’ll also look at a few headphones in greater detail. With the information you find here, you’ll be able to pick a set of Sennheiser headphones that suit your needs and meet your budget. Wearing Style. 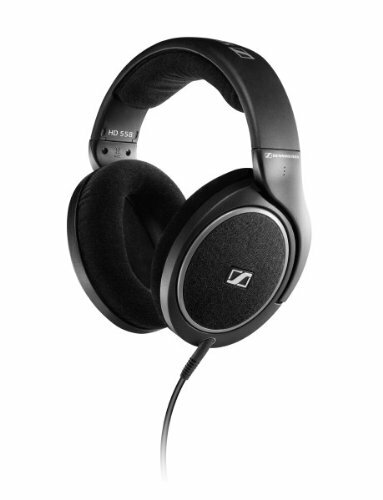 Most Sennheiser headphones come in styles to suit different preferences. There are 3 styles: over-ear, on-ear and in-ear. Over-ear headphones have large cans and generous padding. They cover your entire ear to provide good noise isolation. They’re a little bulky but really provide an immersive sound experience. On-ear headphones are very similar to over-ear headphones. The difference lies in the way the headphones fit you. On-ear headphones rest on top of your ear. They don’t cover your entire ear. That means you will be able to hear some ambient sounds and there will be some sound leakage. In-ear headphones are also known as earbuds. These fit inside your ear canal. Several different ear tip sizes are provided to get a good seal and isolate the sound. These types of headphones are great if you want a strong bass. Use / Purpose. You must know what you’ll be using the headphones for. Someone using them in the quiet of his home will require a set that’s different from someone who is using them in the gym or for running. If you’re using the headphones for exercise, sound leakage will not be an issue. However, you’ll want a pair that’s sweat or moisture resistant. Housing. The type of housing on your headphones will directly affect the sound reproduction. There are 2 types of headphones: open-back and closed-back. Open-back headphones have slits or holes in the housing. These gaps allow sound to escape but also create a large soundstage. 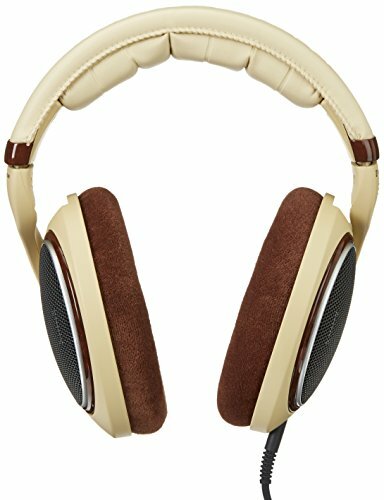 Closed-back headphones have great sound isolation and no sound leakage but it will feel as if the music is taking place in your head. The sound is much more focused and you will not get the auditorium feel that open-back headphones create. The HD558 is pretty similar to the HD598 in terms of construction and audio quality. There is a difference in sound quality because the HD598 has a much wider range. While both headphones are great, to an audiophile, this subtle difference will matter. There is also a difference in the housing. The HD558 doesn’t look quite as aesthetic as the HD598 because its housing is made of plastic and not wood. So, it doesn’t have that awesome glossy finish. However, the HD558 is just as comfortable and durable. While the appearance is not as awesome as the HD598, the HD558 has a lower price point and is more suited for those on a tighter budget. It is excellent value for money. The Sennheiser HD598 is probably the best Sennheiser headphones on the market. We’d have give it top placing but it was a little pricey, so we ranked it at number 2. It has superb sound quality and is extremely comfortable. You won’t even realize that you’re wearing it. Appearance-wise, this is a very stylish looking set that has beautiful velour pads and the housing is made out of beige high-gloss burl wood. This is an open-back design with over-ear cans. So, there will be sound leakage and is more suitable for use in the privacy of your home or office. However, the design allows for a large, full soundscape that makes you feel like you’re sitting in an auditorium. The music must be heard to be believed and the sound is very accurate, well-balanced and clear. This pair of headphones is one of the best out there and you can’t go wrong with it. Rounding off the top 3 is the HD 280 Pro that gives you the best of both worlds. You’ll get good sound quality, cool accessories and a very affordable price tag of less than a hundred dollars. This is a closed-back model that isolates sound well and doesn’t use additional processing. The headband is tight so that the earcups get a good grip and there’s a good seal. An advantage of using HD280 Pro is that you can replace most of the components to extend the lifespan of your headphones. You can change the cable, earpads, padding, etc. You don’t need to buy a new set just because your earpads are worn out. You can just get new earpads. The sound is well-balanced and it has a wide range. There’s no sound leakage from these headphones. Overall, the HD280 Pro by Sennheiser Pro is a reliable headset that has everything you could possibly want in a pair of headphones.